Mike Frerichs, Democrat running for Illinois Treasurer is also a sitting Democrat State Senator down in Springfield. In addition to bungling his campaign launch, he's been busy proposing at least one new law that at first blush seem like political pandering. But upon a closer look, it is even worse: it is bad policy and misguided. 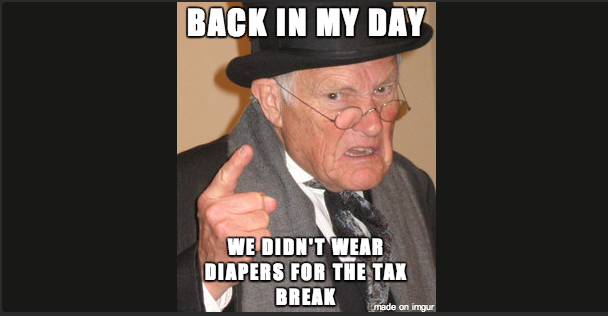 “Legislation introduced this week would create a sales tax exemption for child-sized and adult diaper purchases in Illinois. As pointed out by Kristina Rasmussen, there's more to raising a baby than just diapers. There's lotions, and wipes, and bedding, and car seats and food. Mike Frerichs - who has in the past voted to raise taxes on wheelchairs - has decided to pick winners and losers in the consumer marketplace it seems? Generally speaking, good tax policy is associated with low rates and a broad base – meaning that lawmakers should avoid giving random products tax code preferences. 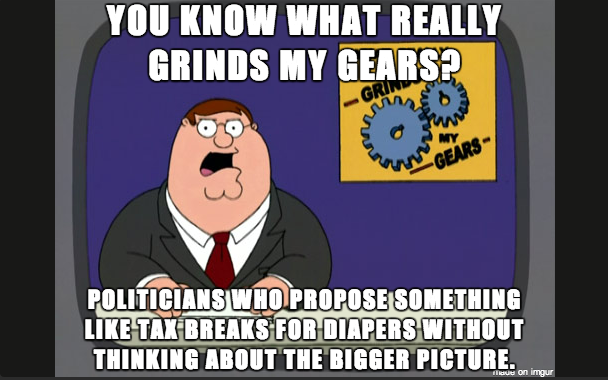 So, if giving a tax break for diapers is ridiculous and misguided, what should we be doing? How about lowering the State Income tax? Oh, that's right, Mike Frerichs voted to double it last year. The bottom line is that struggling Illinois families would have more money on hand to spend on basic items if the 2011 income tax increase, which costs the average family one-week’s pay each and every year, had not passed. 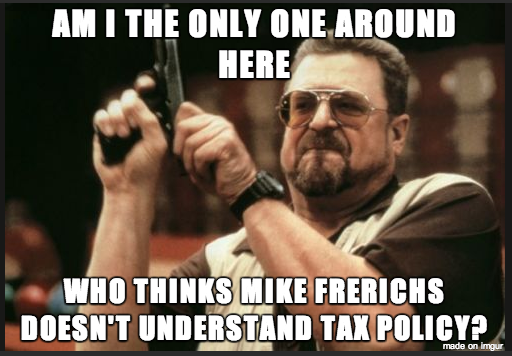 Frerichs voted for that tax hike. Is this supposed to make amends?